Arsenal defender Carl Jenkinson has joined West Ham United on loan for a second season, after signing a new contract with the Gunners. The 23-year-old right-back made 32 Premier league appearances for the Hammers last season. He said: "I'm really happy to be back after last year. I can't wait." Jenkinson is West Ham's sixth signing of the summer after Darren Randolph, Pedro Obiang, Stephen Hendrie, Dimitri Payet and Angelo Ogbonna. Capped once by England, Jenkinson has made 37 league appearances for Arsenal since joining from Charlton in 2011 but is behind Mathieu Debuchy, Calum Chambers and Hector Bellerin for a first-team place at Emirates Stadium. 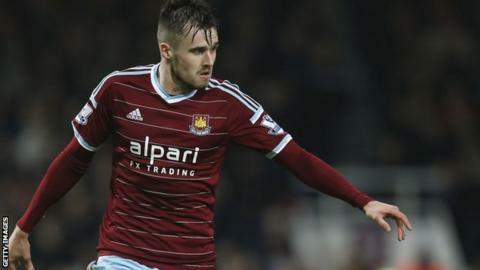 Arsenal have not disclosed the length of Jenkinson's new contract, but describe it as "long-term".